Castlebar - County Mayo - Crusaders and Castles of The Levant. The Middle East has a history stretching back millennia but there is one period which has echoed across the region, leaving a permanence of scattered ruins and shattered dreams. The period of the Crusades, from 1095 AD when pope Urban 11 set in motion a series of events that still have resonance in the region, to 1453 when the Crusaders lost Constantinople to Mohammed 11, have left a legacy of impressive buildings and also a further legacy of ‘East versus West'. 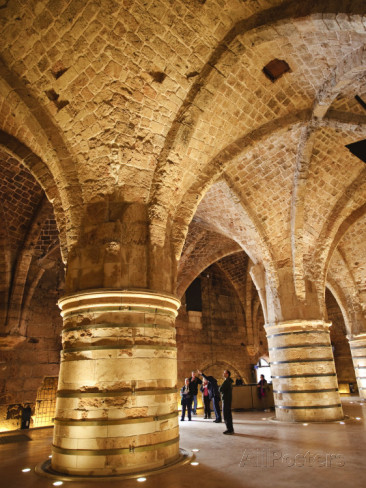 It is 700 years since the last of the Crusaders left the region but their imprint is such that the Crusader legacy of stone work is still regarded as one of the finest examples of military architecture ever raised. But who were the Crusaders that filled our boyhood dreams with tales of chivalry and adventure and what was the ‘Crusades' It is fair to say that most would agree that the idea behind the Crusades was to ‘liberate' the ‘Holy Land' from the ‘Infidels' but this is a simplicification of what was a complex series of events, instigated by the Pope, but undertaken by various groups for as many reasons as there were groups. Although Jerusalem was captured by Muslims in 637 AD, they had a policy of religious toleration which allowed the Christian churches in the Holy Land continuous communication with their co-religionists in Europe. In the early 11th century this changed when the Caliph Hakim began to interfere and also the relationship between the Latin and Byzantium churches were torn apart by the schism of 1054. To complicate matters, the Seljuk Turks captured Jerusalem from the Egyptians in 1071 and this led to a gradual interference with pilgrims from Europe to the Holy land. They also seized most of Asia Minor and destroyed a Byzantine army at Manzikert. The stage was set for the most ambitious project of the Church at that time. When in 1095, Pope Urban 11 convened a synod in Piacenza; he stressed the urgent need of the Byzantine peoples, the overall danger to Christianity posed by present state on things in Jerusalem and the penitential nature of an expedition with the sole aim of liberating the ‘Holy City', coupled with the religious benefit of observing ‘Gods will'. That this was seized upon by the masses was understandable, after all 11th century Europe was not a place with a future for the downtrodden masses and inspired by religious fervor they flocked to the call. However it was more than devout peasants that took heed of the Popes urgings. The semi independent, prosperous Italian towns eager to acquire the products of the East more cheaply and indeed more directly saw an opportunity to establish outposts of their own along the Eastern Mediterranean. Barely had two months elapsed when hordes of common folk from Europe had loosely banded together into five groupings, slowly traveling along the Rhine, the Danube and on to Constantinople. Such a disparate, rag tag body of humanity, without clearly elected leaders, not to mention goals, were doomed to failure and indeed 3 of these groups were destroyed in Hungary as a result of their lawlessness, the remaining two groups reached Constantinople only to be decimated by the Seljuks. This was the so called ‘Peoples Crusade' and was surprising in that some of the participants actually got to the Middle East. As usual the real military forces took some time to assemble and get organized but by the beginning of March 1096, the first proper Crusade set sail for Constantinople. Not too pleased to see them, the Byzantine Emperor Alexius had two choices, either let them conquer lands beyond his borders for themselves or make them swear to be his vassals and to claim all lands for the Empire. Caught by the need for logistical supply and the obvious need for a friendly force to their rear, the First Crusade agreed to the terms set by the Emperor to claim all lands for the Empire. 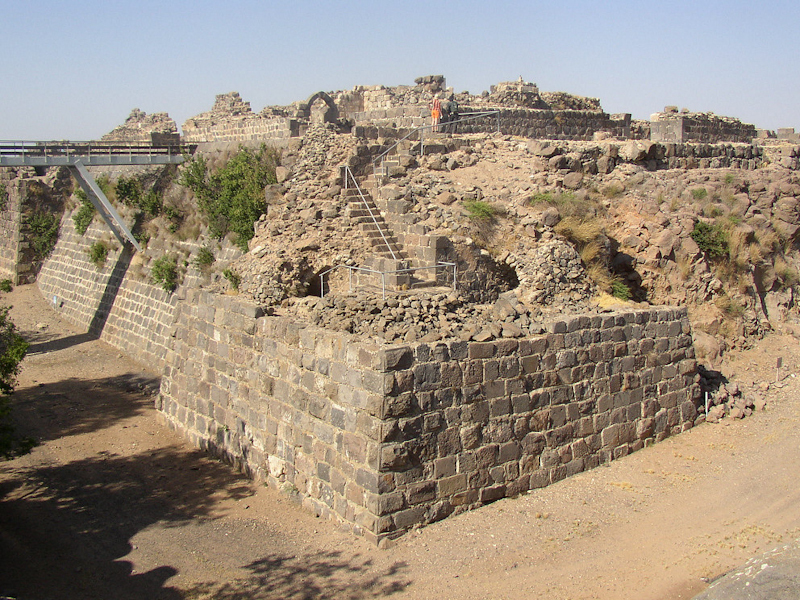 Disunity and internal warfare among the Muslim rulers meant favorable conditions for the arriving Crusaders. They crossed the Bosphorous by May 1097 and captured Nicaea by June. By October they were laying siege to Antioch which fell in June 1098 and then they followed the coast south and on to Jerusalem, taking the city after a brief siege on 15 July. 46 years later the city fell to the Emir of Mosul and this led to the second crusade. By 1148 the French and German troops were in the Holy land but for some strange reason they decided to besiege Damascus but gave up after 4 days and the main part of the force left for Europe. 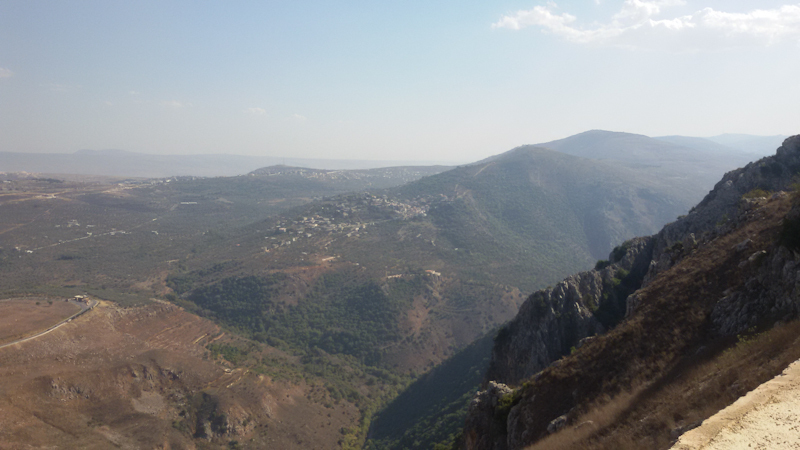 In 1187 Saladin roundly defeated the Crusaders at the ill fated Battle of Hattin, a low ridge North West of Tiberias. This coupled with the fall again of Jerusalem in October led to renewed calls for another crusade and the kings of France and England temporarily put aside their differences and sailed for the Holy land. By 1191 they had lifted the siege of Acre and consolidated the coastal defences, King Philip of France then returned to Europe and it was King Richard 111 of England that remained and actually accomplished more by engaging in diplomatic negotiations with Saladin than by open warfare. Although the third crusade failed in its primary objective, it was significant in the shift in control from the religious power of the papacy to the secular power of the state. It saw the emergence of the religious orders such as the Knights Hospatillier and the Knights Templar who had the financial wherewithal to take over and consolidate the various castles built and held by individual knights and at this stage falling into ruin through lack of funds. 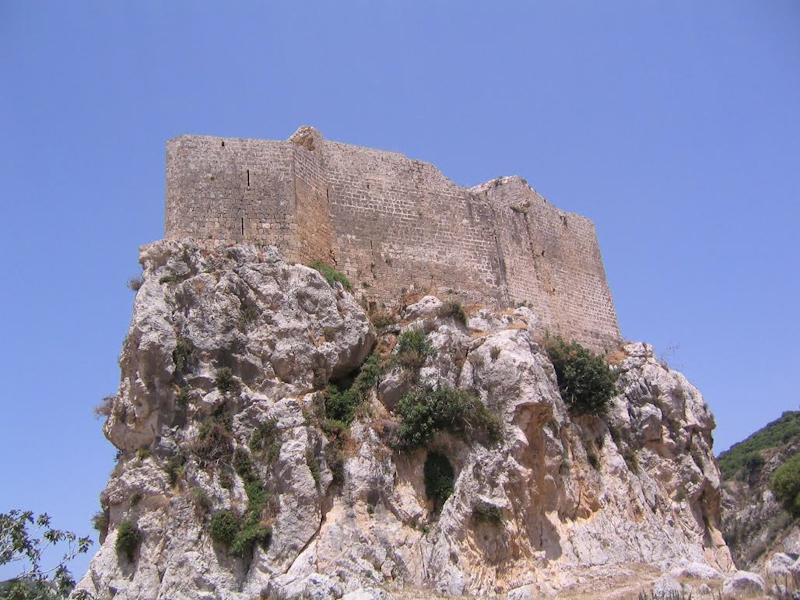 By consolidation of resources the Crusaders held on to the coastal cities but never managed to fully develop a defensible front on their Eastern borders. The shortage of man power meant that there were never enough knights to garrison each castle sufficiently which led to the construction of ever larger and more sophisticated castles. The Fourth Crusade was raised by Pope Innocent 111 in 1202 and his objective was to attack the center of Muslim power in Egypt, but this was embroiled in the struggle between Empire and papacy, resulting in the diversion of the forces to Constantinople to restore the dethroned emperor Isaac Angelus. As the intrigue grew, Isaac reneged on promises given to the crusaders so they captured the city and placed Baldwin, the first Latin emperor, on the throne. This effort saw the further divergence of crusades from spiritual motivation to secular needs, i.e. political and economic. The fighting in Constantinople drained much needed resources from Jerusalem and was never a real threat to the Muslims. It is remembered more for the fact that it gave rise to what is described as the ‘Children's Crusade' in 1212 where accounts suggest that a French boy, Stephen led several thousand youngsters to Marseilles where they expected the waters to part to allow them to march to the Holy Land, this was apparently replicated in Italy but the outcome was a disaster with many sold into slavery. The Fifth Crusade from 1218 to 1221 was mainly concerned with wresting control of Egypt and after initial success it too returned with little to show for its troubles. The Sixth Crusade was a success, but in very different circumstances, for it was the Emperor Frederick 11 who led it as a strictly lay enterprise. Instead of receiving papal blessing it was actually cursed by the papacy and yet it succeeded without any hostile acts against the Muslims. The Emperor was married to Isabella, heiress to the Kingdom of Jerusalem and he undertook the crusade as king (despite being excommunicated by Pope Gregory 1X) He signed a 10 year treaty whereby he regained the city and other territories connecting it to the coast, however even the Pope prevented aid reaching the Holy Land while Frederick was king and once again the crusader states in the Holy Land were under threat. The barons of the crusader states soon sought alliances with Damascus against the Sultan of Egypt but by 1244 the Christian and Muslim forces of Damascus were routed and Jerusalem fell yet again. The Seventh Crusade was launched by Pope Innocent IV in 1245 and led by St. Louis, the King of France, the first objective was Egypt, but as usual an outright victory proved elusive. He was captured in Damietta and after his ransom was paid he moved to Acre where he vainly pleaded for aid from Europe. He returned to France in 1254 with little to show for his sojourn in the Middle East. In 1265 the Sultan Bibars captured Caesarea and then in 1268 he captured Antioch prompting St. Louis to consider another crusade, but this one was to start in Tunis where upon the unfortunate St. Louis fell ill and died. His brother prince Edward of England was a partner in the enterprise and tried unsuccessfully to get the aid of the Mongols in Persia to oust the Mamlukes. 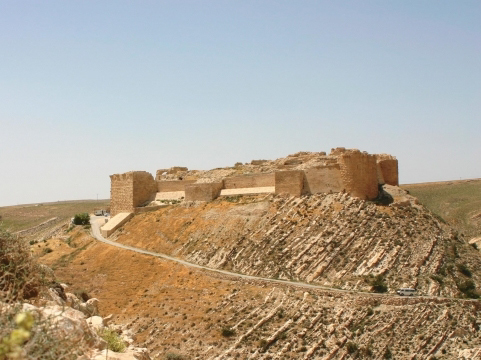 He returned home in 1272, the last of the western crusaders to visit the Levant. 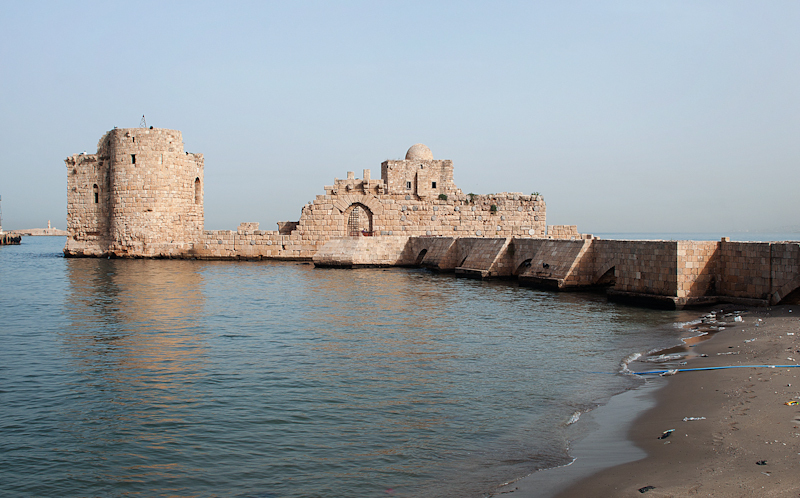 The Sultan of Egypt captured Acre in 1291, the last Latin kingdom in the region. The crusader influence was still felt in Cyprus but that too was to be short lived and despite various attempts to regain influence in the region failed as the thought of recovering ‘the Holy Land' turned, by the late fifteenth century to a defence of the advancement of the Ottoman Turks. Indeed warfare between the Ottoman Turkish Empire and Christian states was to continue into the twentieth century. The crusades, inspired by religion, greed, racism, and a belief in the power of God over Allah left two significant echoes in the Middle East namely; the belief in Muslim circles that the West is out to convert, save, steal Muslim lands and identities for its own purposes and more tangibly the remarkable collection of stone fortresses collectively known as Crusader Castles.